If you are new to referral marketing, it is a powerful way to increase your word-of-mouth sales by encouraging customers themselves to promote your store. While your most loyal customers may already be recommending your store to friends and family, a referral campaign can provide a bit of encouragement for everyone else. Here are 5 automated emails you need to maximize the success of your referral campaign and how set them up using AutomateWoo and our Refer A Friend add-on. Assuming you have already sent out a newsletter promoting your new referral campaign to existing customers, your first automated email should target new customers. To encourage new customers to join the campaign, invite them to refer a friend after their first purchase. The 30-day period is a crucial time for nurturing new customers, and what better way to do so than by providing a great reason to make that all-important second purchase? The customer’s first purchase and their own experience with your brand are still top of mind, so it’s the perfect opportunity for them to share their experience with their friends and family. 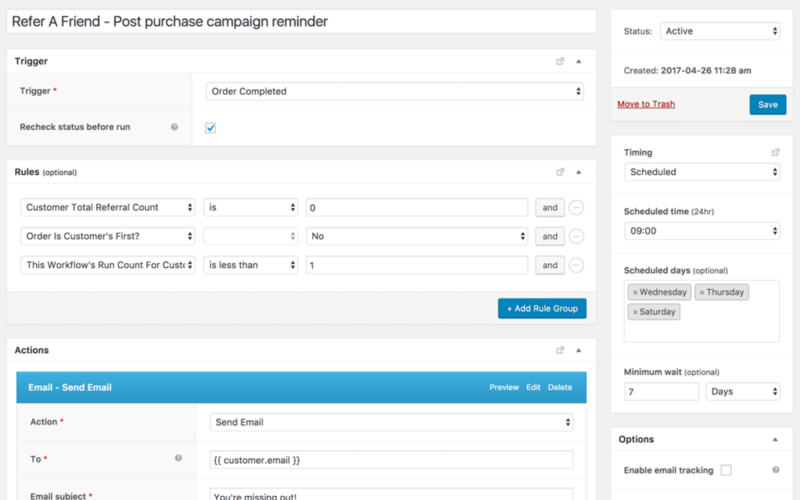 How to This email can easily be created in AutomateWoo with a workflow based on the trigger Order Completed. 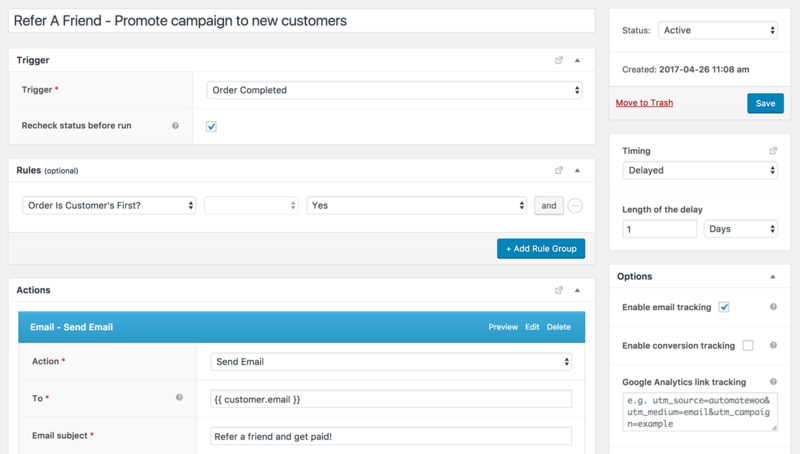 Pair this with the action Send Email and include a rule to target your first-time customers. Create your email content explaining your store’s referral program and either link them to your new Referrals page or include the referral widget in the email. When a customer makes their first successful referral, it’s a great idea to send them a quick thank you email. With AutomateWoo workflows, this now takes no time at all. Be sure to let your customers know how to access their new store credit and encourage them to browse through their favourite categories. You can also use this opportunity to encourage them to invite another friend and earn further rewards. How to Create a workflow with the trigger Referral Status Changed and set to Approved. Pair this with the action Send Email and write your email content. Make sure you set the email to send to the advocate.email variable instead of customer.email because in this workflow it is the email of the new customer who was referred! To make sure your customers do not misuse your referral campaign, ensure you can quickly take action if fraud occurs. Customers may try to refer themselves via a fake email address, so it’s worth having a notification system for your campaign. This is easily done with an automated warning notification addressed to yourself or a coworker. Please note, Refer a Friend will never auto-approve potentially fraudulent referrals. 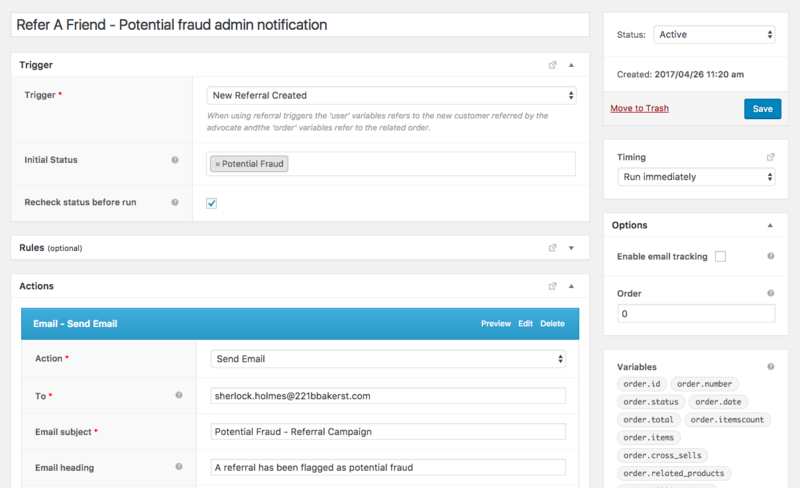 How to Create a workflow with the trigger New Referral Created but specify the initial status as Potential Fraud. Pair this with the action Send Email but include your email address (or a coworker’s) as the sender address. Use variables to include important information such as the status of the referral, the advocate’s first name, last name and ID. Optional tip – keep tabs on your dishonest advocates by setting up an additional email notification when they place five, ten or twenty referrals which your store has rejected. For customers who have not joined your referral campaign yet, send them a quick reminder email inviting them to take part. Your email may have gotten lost in a cluttered inbox, and some customers may simply have forgotten about your email. Take this opportunity to explain to those customers what they’re missing out on and remember to outline the basics of your referral campaign. How to Create a workflow with the trigger Order Completed and include the rule Customer Total Referral Count and set it to zero. Pair this with Send Email and include unique email content explaining the campaign from a fresh angle. In the example above we have also excluded first-time customers, set a delay and limited the workflow so it only runs once per customer. Reward the advocates who are giving 110% with a tiered reward system. When they reach five, ten or twenty successful referrals, take the time to send them a special thank you or even a reward. When referred customers have a 16% higher value, it can’t hurt to show a little appreciation for your growing customer base. 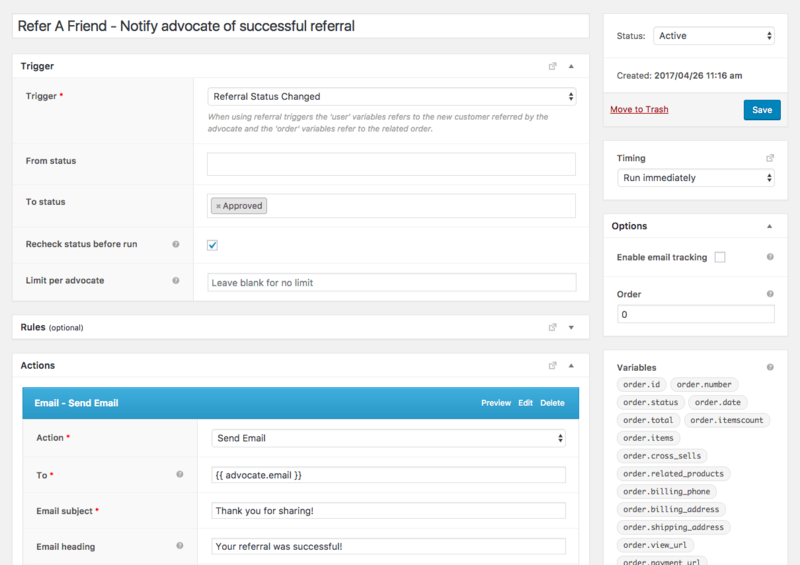 How to Create a workflow based on the trigger Referral Status Changed and set it to Approved. 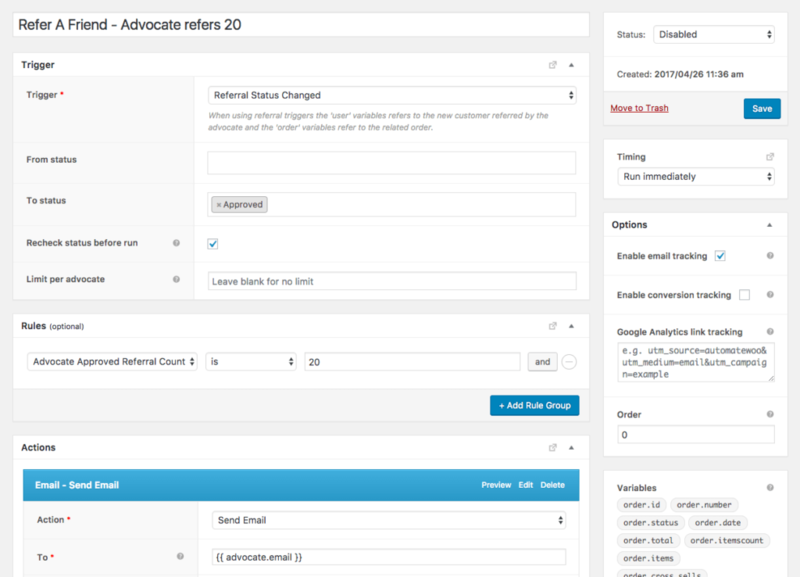 Now target your high-achieving advocates using the rule Advocate Approved Referral Count. Pair this with the action Send Email and include your desired email content. Have you used any of these emails with your referral campaign, or do you have some tips of your own? Let us know in the comments below! 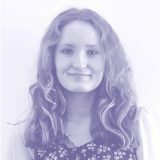 When Heidi Bitzer is not lending her writing talents to AutomateWoo, she can be found studying furiously for her university science degree. She also helps with customer support, testing and meme curation.